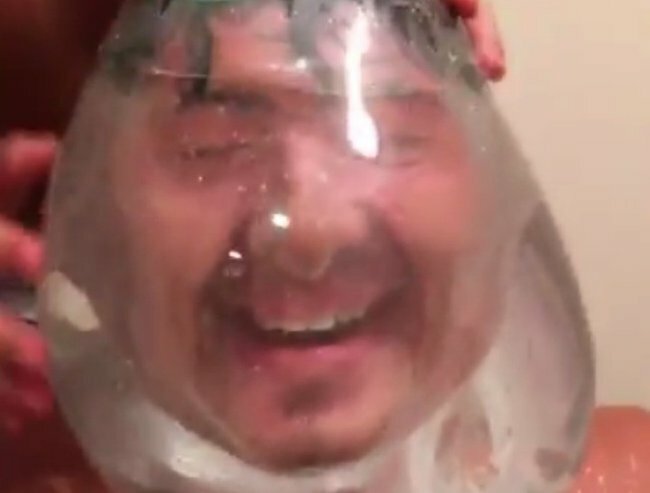 The latest viral trend: the Condom Challenge. 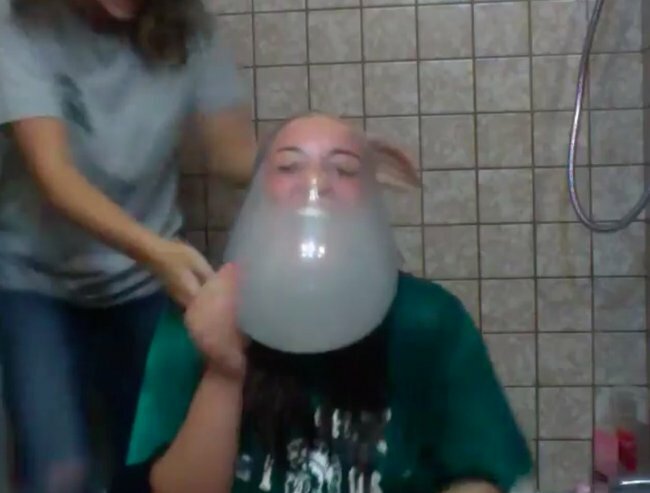 Teenagers find a new way to hurt themselves: The Condom Challenge. If you give teenagers a challenge and instruct them to upload a video of themselves to the internet, you can make them do anything. Remember The Kylie Jenner Lip Challenge, where young Kardashian-wannabes sucked their lips into a shot glass and waited for their blood vessels to pop? The birth of social media means teenagers have been finding new ways to injure themselves for the sake of a few giggles from their Instagram/SnapChat/Facebook gang. And, with a little encouragement from the likes of the Jackass crew, the stunts have become ridiculous and risky. Don’t believe me? I give you The Condom Challenge. The premise of the Condom Challenge is simple: get a friend to drop a condom full of water on your head. Because condoms are designed, for obvious reasons, to be resistant to breakage, the water-filled condom stretches to fit the shape of your head. It covers your mouth and nose! You can’t breathe! It’s hilarious! 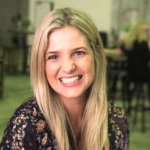 It’s sort of like the Ice Bucket Challenge – except it’s not raising funds for amyotrophic lateral sclerosis and it’s dangerous. Kids these days. What’ll they think of next? Do you know anyone who’s participating in the Condom Challenge?